Wozniak Builders recognizes that great employees are key to maintaining the success, growth, and progress of our company. As a top quality custom home builder and remodeling specialist - we truly appreciate and value our dedicated and professional team members. As a result of our growth - we are currently seeking a few more like-minded men and women to complete the team. Why Wozniak Builders? 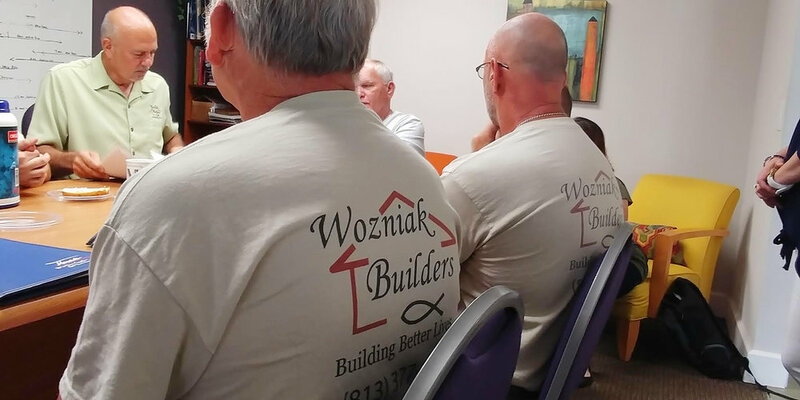 Building Better Lives is not just a slogan at Wozniak Builders, it is our philosophy and mission. We are a faith-based business that believes the workplace should be more than paychecks alone. We believe in working together with purpose, developing our gifts and talents, and sharing those talents with others. Ultimately, our desire and goal is to leave a great and lasting impression in the lives of our company, clients, community, culture - and beyond. Cultivating our core values of Respect, Honesty, Integrity, Kindness, and Excellence remains our top priority. If this is you - please click the apply now button below to submit our basic application form! You should expect to receive a reply from us within the following business day.